Gadgetry is a modular tech mod designed to be extremely simple. Functionally speaking, it does many things that other tech mods do, but without all the bloat. It's intended to be better for parallelization and building big factories, as opposed to relying too much on a few machines that do everything. Extremely little microcrafting. There is a bit, but it is minimized heavily. Every machine is very cheap and simple to create. Every block does one thing. Every machine has a simple purpose that it fulfills, so you know what you're going to get. Large toolset. There is less emphasis on processing items into others, and more emphasis on giving you a wide range of automation capabilities. An alloy furnace, with two alloys. A lot of internal utilities and base code. Did you notice how the "not maintained anymore" message was removed? Or how the mod clearly says that it's in development by a new author? Or that there's even a discord link to an active community where you could have simply asked if gadgetry was maintained? Please don't randomly assume things. I'm aware EpicSquid took over, I was referring to their development of this mod. It hasn't been updated since February. I checked their Twitter and found their plans for your mods moving forward - https://gist.github.com/EpicSquid/a303c7379726a9d0f8ce7e10a54254cb#file-mysticmodsplans-txt - and found that they mentioned content updates. This, however, was 2 months ago. So, perhaps "maintained" was the wrong word. I apologize, I meant "going to be updated". Regarding the Discord, the recent tweets from EpicSquid gave me the impression they had moved on so I wasn't going to join it. But you're absolutely right, I should not have assumed. That's all a pretty significant misinterpretation that would be easily solved by actually asking the man himself. Two months is not that long of a time in modding terms. This mod is excellent! Just what I looking for. This allows to make complex devices from simple parts, just like programming. Goog for modpack with less grinding. I did not understand one thing. Description says that this mod is not maintaining. But updates are coming. What does it mean? Is this a beta that will change soon? Somewhere a maintained version? I released some hitherto unreleased content. I don't plan on formally maintaining any of my mods. But I figured I'd at least get what I have out. 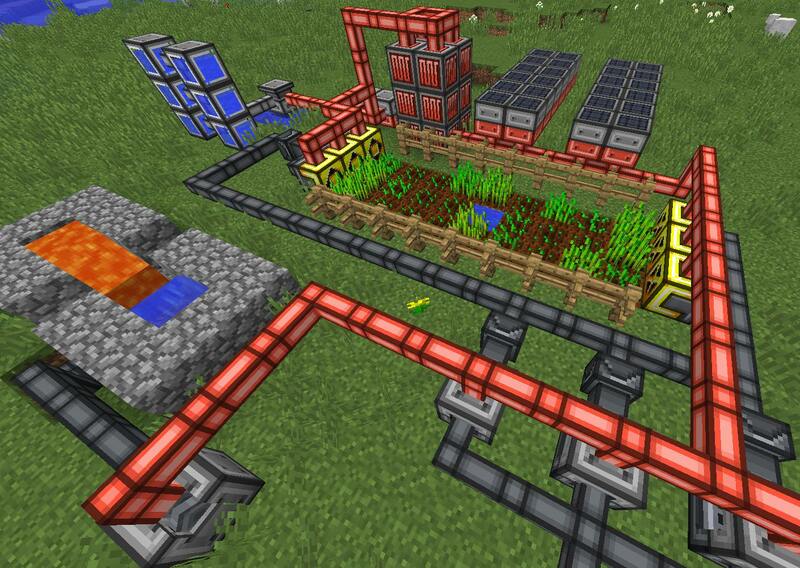 Also I want ask - is there any way to control machines or IO's with redstone? Why is the Steel Nugget ore dictionaried to silicon and the silicon isn't ore dictionaried at all? bug, seemingly :p. i'll fix that. Out of curiosity, why does the steel recipe include gunpowder? That seems like the kind of thing that you don't want to put in a furnace. Mostly so it's more expensive than just iron and coal. Was a little inspired by the old Rotarycraft HSLA steel -- I wanted the process to be just a tad more involved, making steel a more expensive resource than just an extra crafting step. 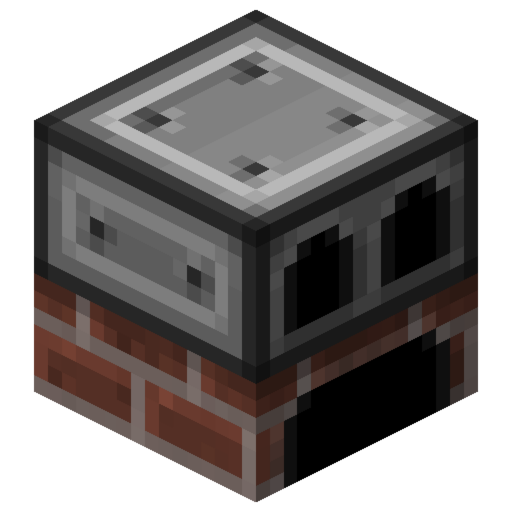 There will be ways to automate gunpowder in the future of this mod. Oh my, what a delightful mod! 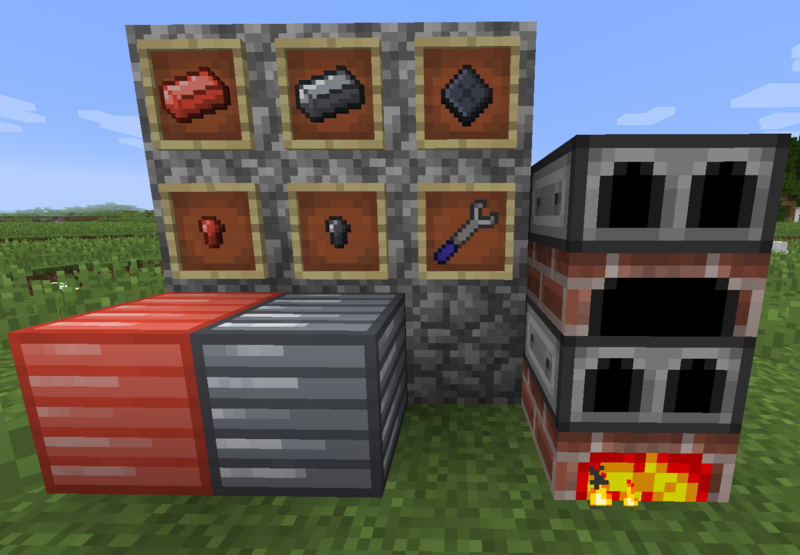 I've been waiting for such a clean and simple alloy furnace, and this is exactly it! I don't suppose we'll be getting CraftTweaker support or a in-house configuration option for customizing recipes in the near future? Either way, thank you so much for the great work on this! CraftTweaker and config support is definitely planned! This is definitely a bit of a pre-release, I have a lot of stuff to work on here.